Electricity is powerful and dangerous, so always take extra precautions when inspecting electrical systems. Home inspectors often have a background in building, whether in construction, roofing, plumbing, electrical, or another important home system. So as a home inspector, you may already know something about inspecting electrical systems. In case you don’t, or your knowledge is incomplete, we’ve put together a short guide for you. First, we want to reiterate how dangerous electricity can be. Whenever you inspect this important home system, it’s critical that you understand exactly how to go about it. Any misstep can lead to injury or even death. Sparkfun calls voltage, current, and resistance the building blocks of electricity. What does each of these terms mean? It’s easiest to understand if you think of all three at once since they are so closely interrelated. Home inspectors usually only measure the voltage in a home to make sure the wiring is functioning and safe. This is usually done with a multimeter. 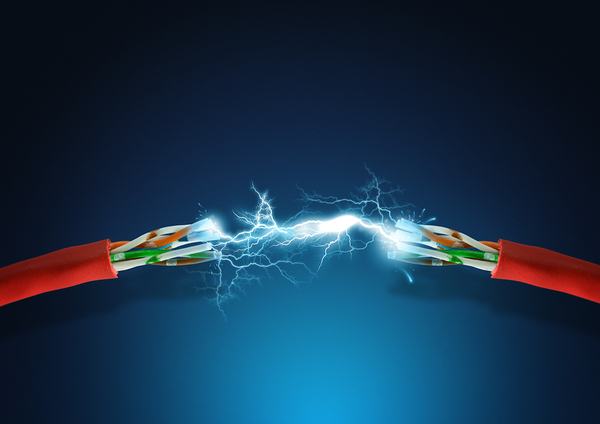 Hot wire: Each electrical circuit should have a hot (or live) wire, a neutral and a ground wire. This is the wire that carries the electrical current. Hot wires are usually encased in black or red insulating plastic, but you can’t rely on this 100 percent. The wiring might be very old, it might have been done incorrectly, or all the wiring might be black. In some instances, the hot wire is designated by electrical tape on the end of the connection. So you don’t want to assume and touch the wrong wire; it could be fatal. Neutral wire: This wire, which completes the electrical circuit and is connected to the ground, is usually encased in white plastic. Ground wire: This wire, usually green but sometimes yellow, may be absent in homes with old wiring. Its purpose is to help prevent electrical shorts and shocks. 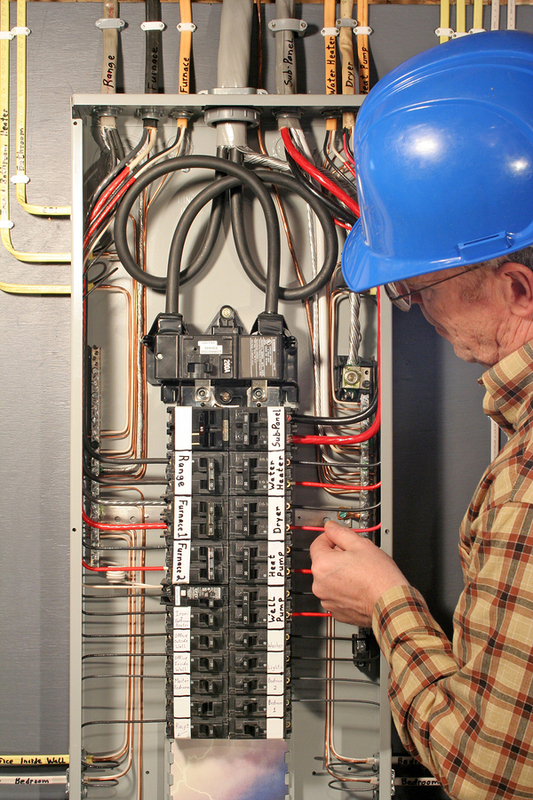 The electrical panel is the most important part of the electrical system inspection. Electrical panel/box: The electrical panel is where electricity comes into the home from the public utility. Electrical connections in the form of circuit breakers are housed in a metal box securely fitted with a lid. Examination of this box is an important part of your home inspection. Fuses: Illegal now in many areas and considered old-fashioned, fuses work to prevent electrical overload of a circuit in a home. If a circuit receives too much current, the fuse will blow. When used correctly, fuses are safe; however, because different sized fuses can fit in different circuits, the possibility of misuse — and therefore, fire — is greater. Further, when fuses blow, they must be thrown away and new ones installed since they actually melt; in contrast, circuit breakers can be reset. Circuit breakers: The more modern, updated form of protecting circuits from overload is a circuit breaker. When a circuit receives too much current and heats up, the breaker simply flips, cutting off current to the circuit. The homeowner needs to then flip the switch back to restart the current. The switch will not flip if the circuit is still hot; the homeowner must wait for it to cool down. In this way, this type of breaker helps prevent fires. However, if a circuit frequently trips, a licensed electrician should be consulted to diagnose the problem. Oftentimes today’s energy-hogging appliances — air conditioners, hair dryers, vacuums, clothes irons — are too much for old wiring. Or, there could be a short circuit or a fault in the circuit. Anything beyond the basics regarding the electrical system in a home inspection should be relegated to a licensed electrician. Working with electricity is inherently dangerous and is only safely done by experts. Home inspectors can learn everything they need to know to do their jobs from ICA School’s home inspection course, including how to inspect a home’s electrical system. Get a demo to find out more about our courses today.